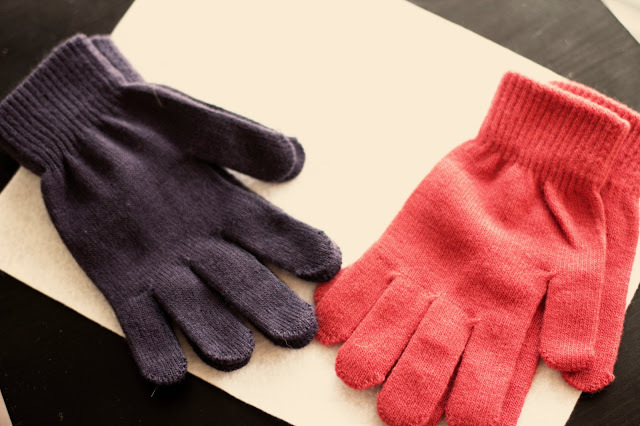 I really think this would would with any symmetrical shape, so I should really be titling this "meet together symmetrical shape glove DIY" but that sounds jumbled and confusing. I did one that will be perfect for Valentine's day with a heart and another that is just a little more wintry with a snowflake. Here's a really simple DIY for you to try out. 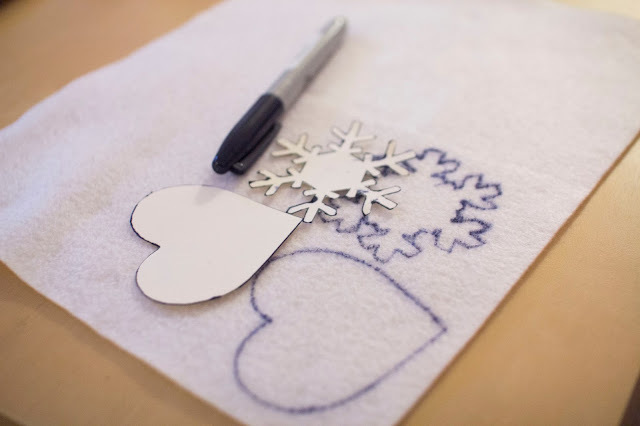 I made templates for the heart and snowflake for you! Go download the PDF here. Print those out (make sure scale to fit IS NOT checked) and cut them out. Trace the shape onto the felt and cut it it out. Fold the shape in half and cut. 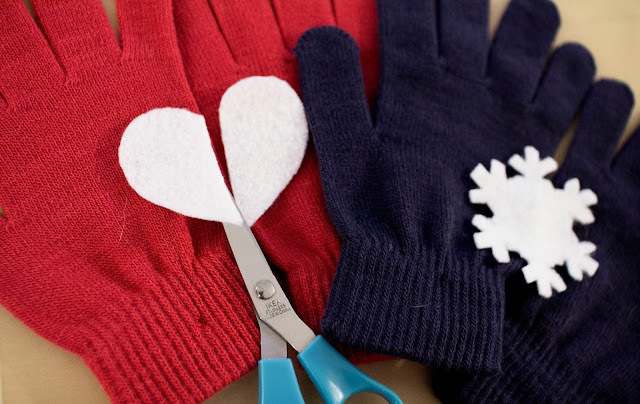 Pin the shape to each side of the glove with maybe a pin or two. This is such an adorable idea! There are so many fun shapes that one could use! Thanks for the inspiration. Oh gosh, how cuuuute are these! I really love the heart one. I suppose you could do this with any symmetrical shape, huh? 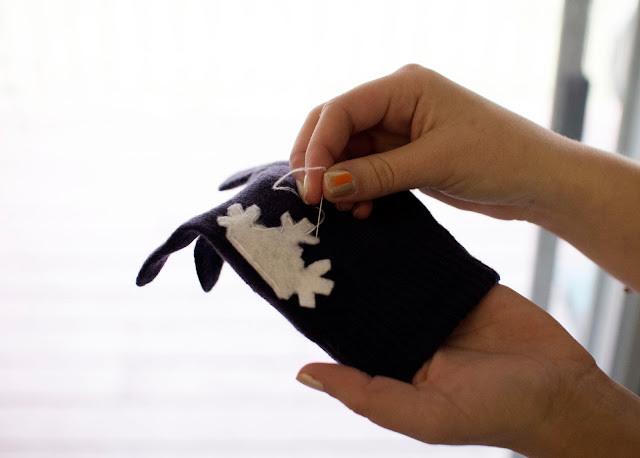 Needle felt is a great idea! I love that - I have never needle felted before myself. I want a Cogi head Silhouette! What a fun, cute idea to jazz up something so simple! Adorable. oh my goodness this is too cute. 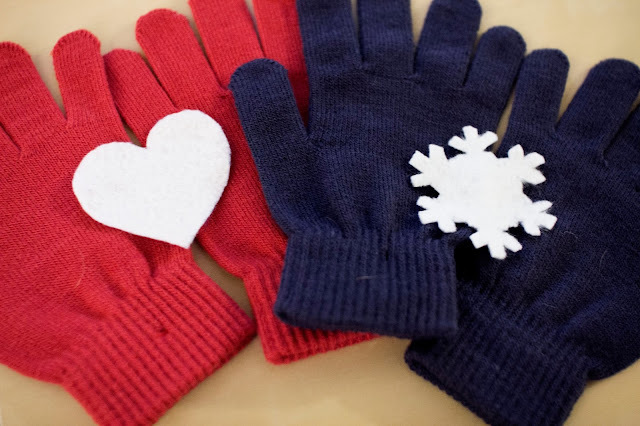 what a way to spice up gloves, you are so clever and creative! This is the cutest. Love the idea! And so simple to execute. Oh, what a cute idea! Thanks for sharing! 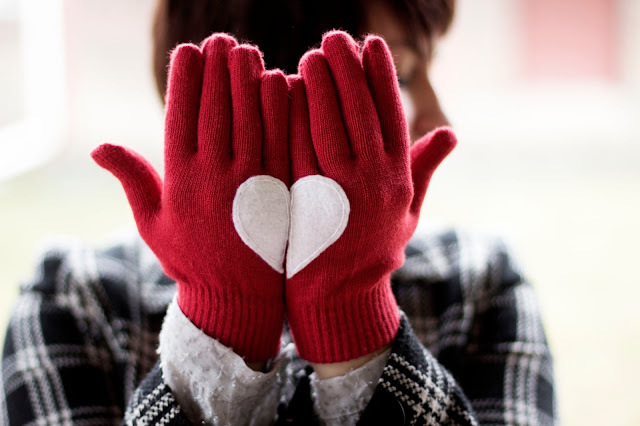 Those gloves are so cool! Love them Katherine. You should open an Etsy shop! This is so stinkin' adorable and looks so effortless! 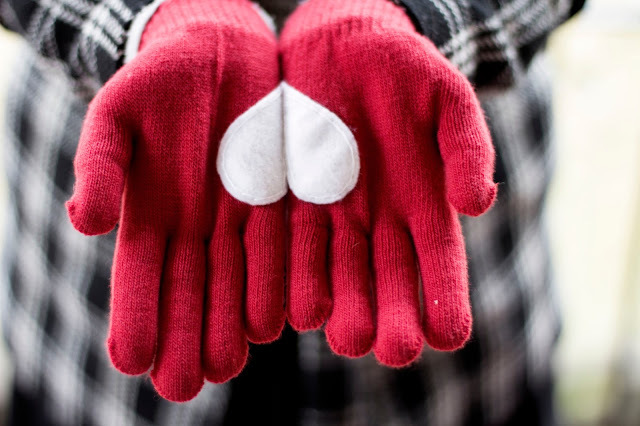 Those gloves are soooo cute! I've seen the hearts before, but I absolutely love the snow flakes :)!! So adorable - that snowflake is awesome!! Oh my gosh this looks so awesome! Great idea!